Henry Boot Way, Priory Park, Hull, HU4 7DY. Anlaby Studios is an in-house performing arts centre with studios to hire. A large space to hire, ideal for parties, events, classes, functions, workshops, meetings and more. For more info contact Chloe on 07414 444685, email contact@anlabystudios.com. 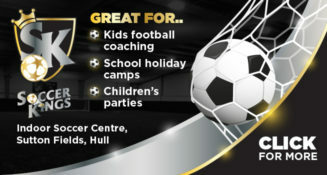 This a great venue to host any party or event including Children’s Parties. If you are looking for professional but affordable venue look no further. Catering can be provided or bring your own! Contact Gemma or Sally Ann for more details on 01482882999 07855830685 or email armstrongsbeverley@hotmail.co.uk. Some Children’s Centres can be hired out for parties, call your local one to enquire. Most churches have halls they hire out at a very reasonable cost for children’s parties, give your local church a call. Church Halls that have been recommended are North Ferriby Parish Hall, St Aidan’s Church Hall (Southcoates), St John’s Church Hall (Rosmead St, Hull), St Andrews Church Hall (Grandale, Sutton Park). Most village halls can also be hired out for a reasonable cost, give your local one a call. Villages hall’s that have been recommended are Swanland, Welton, Victoria Dock, Sutton and Bilton. There are over 250 village halls and rural community buildings in the East Riding, ideal to hire out for birthday parties and any occasion. We used The Goodfellowship pub recently, they have a bouncy castle too and provided kids food. Many of Hull’s rugby clubs hire out their club houses for parties. Ones we know of are Haworth Park (top of Beverley Road), Hull Rugby Union ground at YPI (Chanterlands Avenue), Hullensians (Springfield Way, next to Anlaby Retail Park) and Hull Ionians (Brantigham Park).